Exclusive pricing deals between motor insurers and price comparison websites will be banned, the UK competition regulator has said. The Competition and Markets Authority (CMA) said such deals were preventing insurers from making their products available more cheaply elsewhere. But the CMA has ruled out a cap on replacement car and repair charges which it originally favoured. It has been criticised by some for "inaction" following the inquiry. The planned changes could reduce premiums by about £20 a year, the AA motoring organisation said. But it questioned whether such a long inquiry was needed given it would make such a small difference to premiums. The CMA and its predecessor have been studying the £11bn private motor insurance market since 2012, following a referral from the Office of Fair Trading (OFT). The inquiry is separate from new rules regarding whiplash claims. 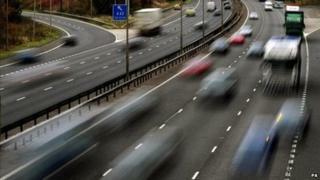 It believes that many of the 26 million private motorists in the UK are paying too much for their insurance. Its research found most deals between insurers and price comparison websites called "price parity" agreements were restricting competition and leading to higher car insurance premiums overall. More than half of all new car insurance business goes through price comparison websites, and up to 90% of this was priced according to these deals. The deals stop insurers offering their products more cheaply elsewhere, and again ultimately push up the price of insurance, the CMA found. "They certainly help motorists look for the best deal, but we want to see an end to clauses which restrict an insurer's ability to price its products differently on different online channels," said CMA deputy panel chairman Alasdair Smith. It has ordered the agreements to end, a move welcomed by the Association of British Insurers (ABI). This is likely to take effect by early next year, unless there is an appeal against the order from members of the industry. However, it will still allow agreements that mean the price quoted by insurers on their own websites will never be cheaper than on a price comparison website. The CMA also recommended that the UK's financial regulator, the Financial Conduct Authority (FCA), should examine how insurers inform consumers about add-on products to car insurance policies. "The way motor insurance-related add-on products are sold makes it hard for consumers to obtain the best value," Mr Smith added. The CMA said no-claims bonus protection was particularly problematic, with both the price of this product and its benefits often unclear to consumers. "We are requiring insurers to provide much better information," it said. However, the CMA said it had been unable to find a way to resolve the issue of high car hire and repair charges for drivers not at fault in an accident. Premiums are pushed up because the insurer of a driver who was not to blame in an accident arranges for a replacement car or repair, but the at-fault driver's insurer foots the bill. It said addressing the issue would require a "fundamental change in the law". The CMA said its research found the extent of the problem was not as high as it first envisaged - amounting to an average increase on premiums of only £3 a year - meaning "it does not warrant such a radical measure". This conclusion was a relief for the Credit Hire Organisation (CHO), which represents companies that provide temporary replacement vehicles. "We welcome the fact that, after a three-year investigation, the CMA has concluded that non-fault customers do indeed require our assistance in their hour of need, and their legal right to a replacement vehicle while their car is off the road has again been reinforced," said Martin Andrews, director general of the CHO. But James Dalton, head of motor insurance at the ABI, said: "[This] will be a bitter pill to swallow for honest motorists. Far from reducing the cost of car insurance, the CMA's inaction simply entrenches the business models of some replacement vehicle providers who profit from inflating car hire charges at the consumer's expense. "The reality is that the CMA has ducked this challenge and when regulators fail, politicians need to step in to act." The British Insurance Brokers' Association (BIBA) described the report as a "mixed bag".